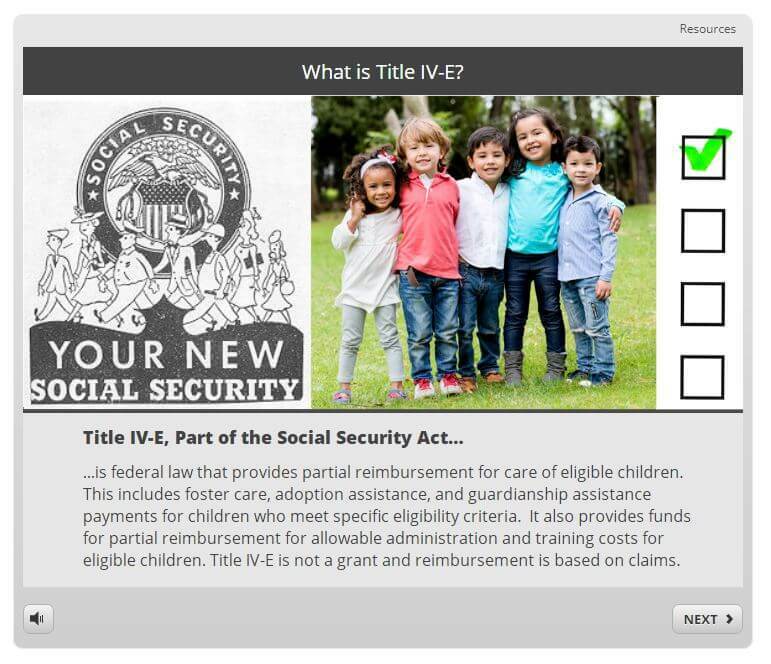 Title IV of the Social Security Act provides federal funding for child welfare programs. 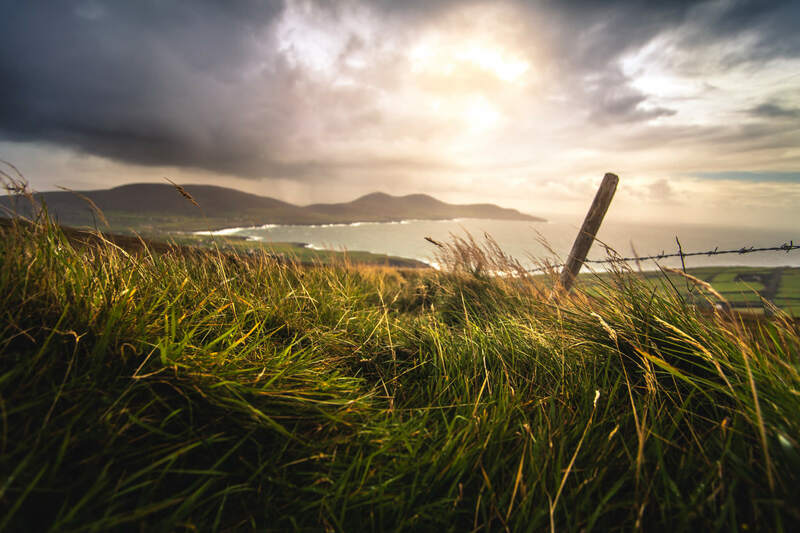 Learn more about these two specific options. 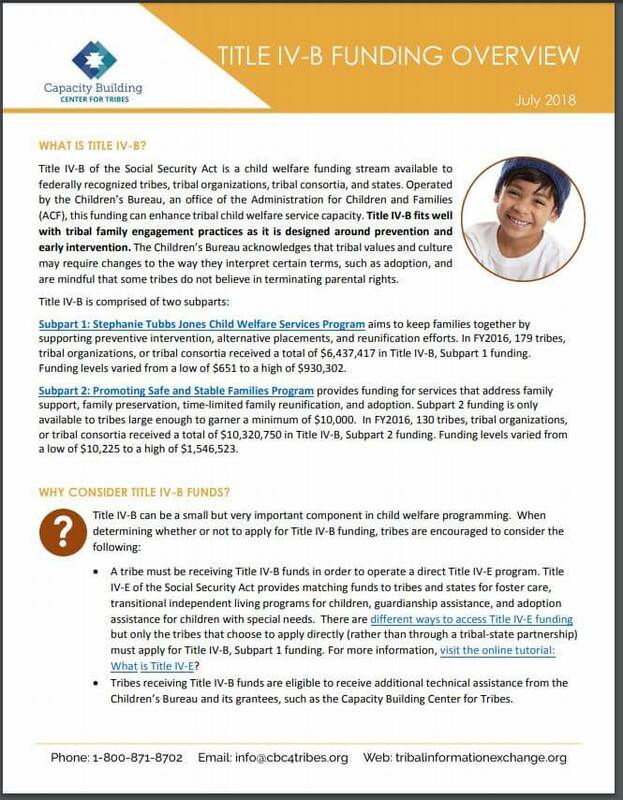 providing training, professional development and support to ensure a well-qualified child welfare workforce. 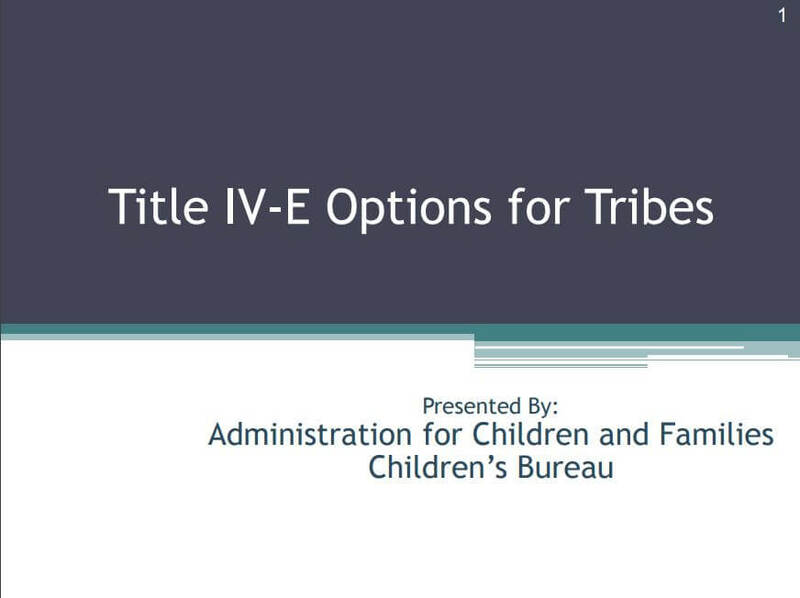 Title IV-E provides partial reimbursement to federally recognized tribes for the care of eligible children based on claims that primarily include foster care, adoption assistance, and guardianship assistance. 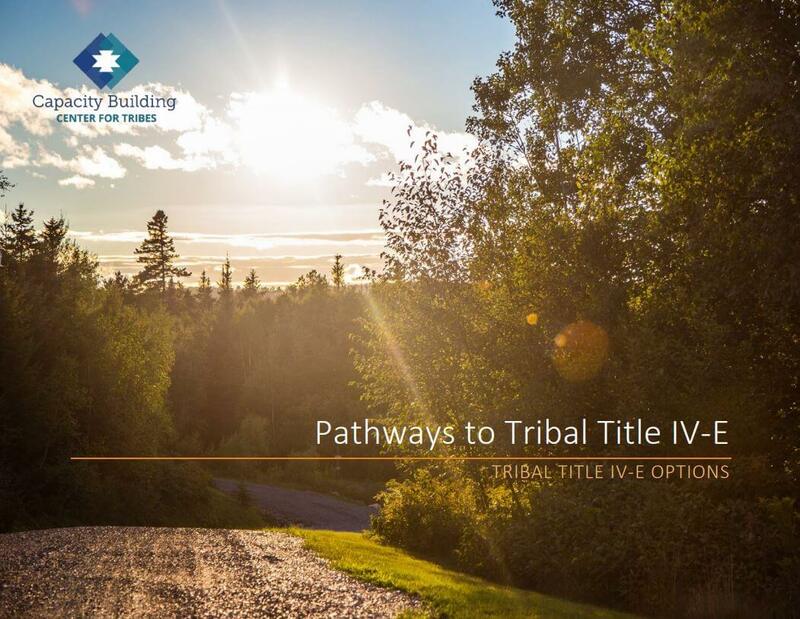 There’s a lot to think about when exploring whether or not accessing Title IV-E funds is right for a tribe. 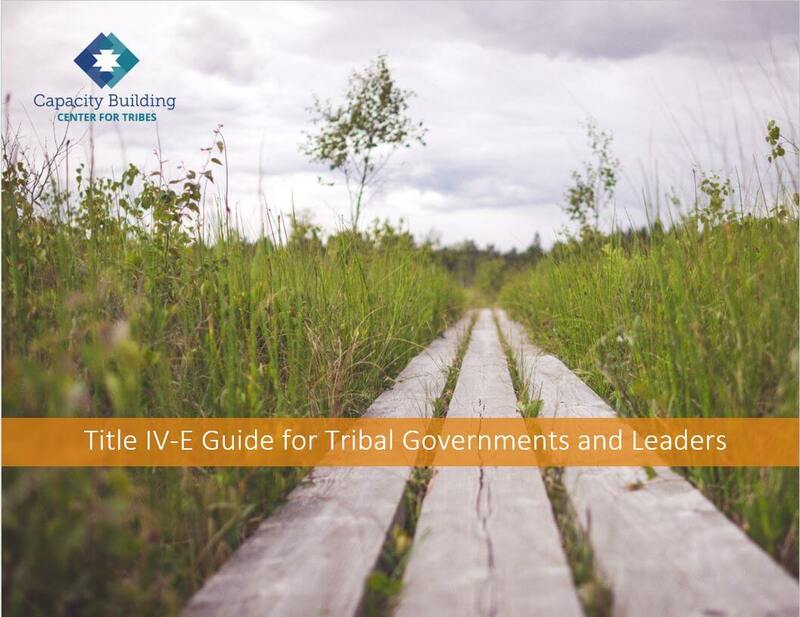 Tribal Governments and Leaders play a unique role in this exploration and may benefit from learning from others who have taken this journey before. October 23-24, 2018 in Albuquerque, New Mexico. 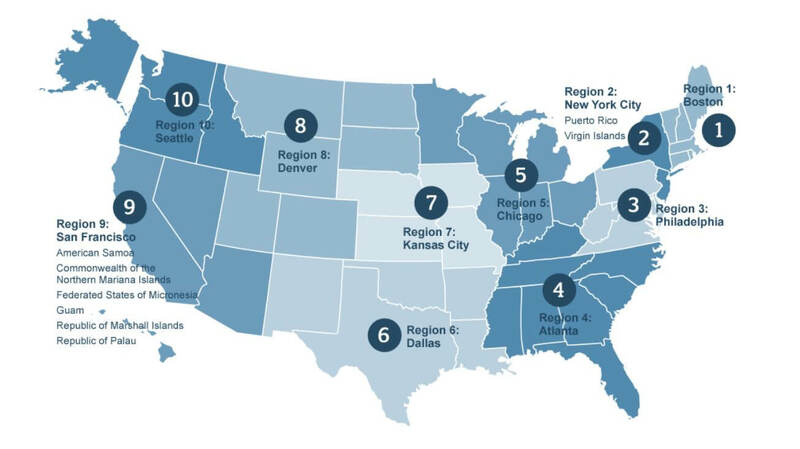 Contact Your Regional Program Manager!